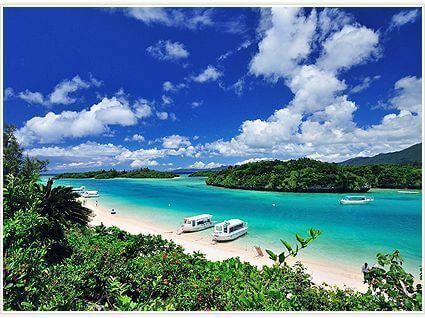 Okinawa is most popular wedding destination in Japan. One of the most beautiful seas in the world, the crystal blue sky, white sandy beaches – Okinawa is the most popular resort wedding spot in Japan. With gentle sea breezes, passionate sunlight, and dazzling landscapes, your wedding will be the most memorable and romantic one you can dream of. Okinawa also offers weddings with a variety of unique styles, whether gorgeous or simple, and with a wide selection of dresses, so you can realize your own wedding that makes your dream come true in the beautiful semitropical paradise setting. The fun does not end on the day of the wedding in Okinawa. A wide spectrum of activities is available for you after the wedding. The moment you leave for your resort wedding in Okinawa is also the moment you start your honeymoon. The beautiful nature, places of historical and cultural interests, delicious foods, and a variety of entertainments. . . Okinawa offers a wealth of activities. 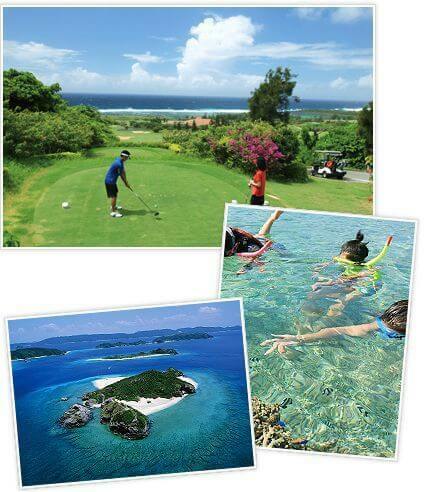 Why don’t you try active marine sports or enjoy shopping and eating local foods to your heart’s content? Or you may prefer a relaxing aesthetic treatment or sightseeing to experience Okinawan culture. One of the merits of a resort wedding is that it gives the couple a chance to enjoy the trip together with their relatives and guests. 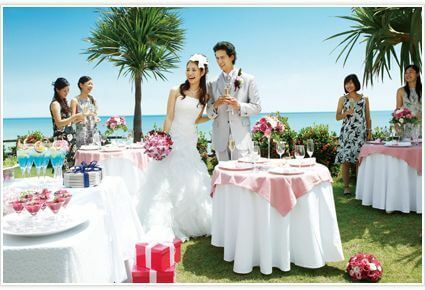 Okinawa offers unforgettable experiences for everyone who has attended your wedding. Okinawa, one of Japan’s southernmost islands, is a place where you can realize your dream resort wedding. It belongs to the subtropical oceanic climate with the annual average temperature being around 22.7℃, offering an ideal environment for a resort wedding.